Orangerie Events is the creation of a talented and passionate wedding planner in Durham, NC, Priscilla. A native of North Carolina, Priscilla is familiar with the events market in the state and has worked with different couples from all walks of life. Fueled by flawless design and strong organization structures, Priscilla has built one of the premier events organizing companies in Durham. To help her bring the dreams of her clients to life, Priscilla has employed three equally passionate and talented event coordinators. As a senior certified events planner, Alaine has been in the business for over 20 years. Having created her business in 1993, Alaine is one of the most sought after and experienced wedding planners in Durham. And through her company Lady Bird Events’, she has established herself as one of the leading event consultants in the area. Alaine has become somewhat of a celebrity in the events planning industry thanks to her many years in the business. She’s one of the top wedding planners around. Demetris Faison is the designer behind Creative Touch Events. Having started the company in 2004, Demetris has been credited with introducing different and lavish party designs that have always wowed his clients. At the center of his business is his mantra “we create what others dream”. The company has offered its best services to corporates, individuals as well as celebrity clients on budget. Some of the personalities on the checklist that the company has worked with include Robin Thick, Tina Labelle, and Bishop T.D Jakes. 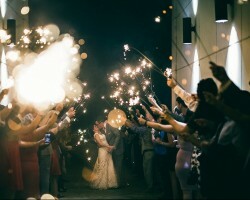 In 2009, Leigh Pearce started her own event planning company and called it Leigh Pearce Events. Today, Leigh’s services as an event organizer are still in demand. Through her company, she has been able to reach a wider clientele. 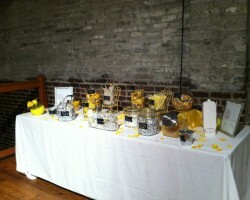 This has earned her company a spot among the leading event planning companies in the Raleigh-Durham metropolis area. The company’s clientele varies from yet to be wed couples to large organizations. Prior to starting her own business, Leigh was a coordinator for a local theater. Aisha Sheree Garnett is the lead planner at Sheree Armour Weddings & Events Planning. A passionate event planner, Aisha is certified by the leading certification program in the country, The Bridal Society. 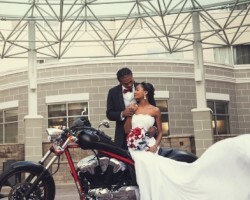 Aisha is arguably one of the most enthusiastic wedding planners in North Carolina. 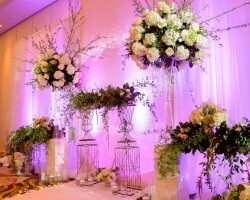 Therefore, clients are guaranteed an unforgettable event full of glamor and color. As for weddings, Aisha excels at bringing to life her local and destination clients’ desires and expectations. This has given her an edge over other Durham wedding planners.